Last week, without much fanfare, the BC provincial government announced the awarding of a 26.5 million dollar ship building contract to Water Bridge Steel of Prince George to build a new ship. The 250 passenger, 80 car, roll on roll off ferry will be built in the tiny hamlet of Nakusp, BC, on the shore of Upper Arrow Lake, in the “interior” of the province. The new vessel will then move slightly north, to replace the DEV Galena, and the MV Shelter Bay, currently in service on the run between Galena Bay and Shelter Bay, about 50 kilometres south of Revelstoke, in the Canadian Rockies. 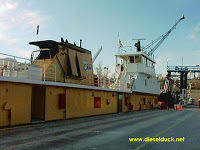 The provincial government owns and use to operate several “licensed” vessels, and a multitude of smaller crafts, throughout the province as ferries, supporting the road transportation network. The major vessels are located near Nelson, on Kootenay lake – the MV Osprey 2000; another near Burns Lake on Francois Lake, the MV Francois Forester (previously serviced by the MV Omineca Princess); and the two mentioned above on Upper Arrow Lake. The government has been divesting itself of the operation of these vessels since 2000, mostly to a private company called Western Pacific Marine, however, they remain primarily funded by the province. From my sources, the award of this particular contract has been a “done deal” for some time, but only announced last week. I am interested in this development because I served on most of these vessels during my Marine Engineering apprenticeship. I have fond memories of the vessels, their runs, and crew, and always kept an ear out for them. 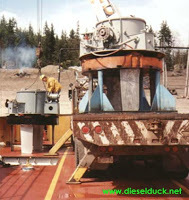 The builder, I believe is no stranger to building and operating ferries on the lakes of British Columbia. The person behind Water Bridge Steel, is veteran inland ferry builder and operator, John Harding. John Harding is reportedly behind the construction of the largest ice breaking lake ferry, the MV Williston Transporter, an ice breaking logging truck ferry on Williston Lake, in northern BC, originally operated by Finlay Navigation. Finlay Navigation also operated the MV Babine Charger, on Babine Lake, near Burns Lake; which is near another ferry he’s built for forest industry, on Francois Lake, the MV Francois Forester. Most people are not aware of the extensive use of commercial vessel operation in BC, coastal and inland, sometimes I forget the scope of it myself. But it is obviously still very much alive and being recapitalized. I am happy to see those crews will get newer vessels, that they will certainly make them last a long time, if history is any indication. 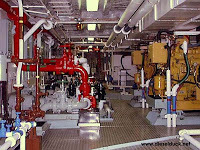 A note of interest, both the Shelter Bay, and the bigger Galena, are powered with Voith Schneider propeller (VSP). It was my first introduction to these amazing feats of engineering, and they’re precise handling came in handy, with the wildly fluctuating water levels and currents of the lake. The Galena is powered by four Detroit Diesel 8V92 driving alternators, they in turn produced electricity for the two 300 hp electric motors driving the VSPs – thus its DEV (Diesel Electric Vessel) designation. 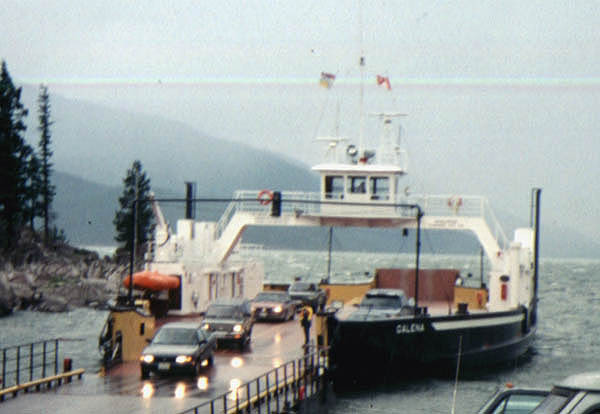 Additionally, the Marine Branch, the entity within the BC Ministry of Transport that use to operate the “Inland Fleet” or “BC Fresh Water Fleet” – BC Ferries operates the “BC Salt Water Fleet”, had many other innovative application to their operations. For instance, the two Albion ferries were some of the first ferries, to my knowledge, that ran on natural gas. The Caterpillar engines (2x 3406 if I remember correctly) were modified to use gas as the primary engine fuel, using a small diesel injection to provide ignition source within the combustion chamber, greatly extending their overhaul periods and such. You can read the official press release here. Here‘s local story on it, and some background on the vessels mentioned above. Here is the schedule and a bit of background. All pictures from my own collection, can you believe it !